Prime Minister, Dr. Manmohan Singh has congratulated Mary Kom on her winning the bronze medal in women’s boxing at London Olympics-2012. Following is the text of PM’s message: ‘I join the nation in congratulating boxer Mary Kom for winning the Olympic bronze medal in the 51 kg women`s boxing event. She showed great discipline and determination and has done India proud’. He congratulated Vijay Kumar on his winning the Olympic silver medal in the 25 metre rapid fire pistol event. He congratulated Saina Nehwal also on her winning the Bronze Medal in Women’s Badminton at the 2012 London Olympics. According to US-based global management consulting firm, A.T. Keamey's Report on 2012 Global Retail Development Index, India has been ranked the fifth most attractive destination for retail investment among 30 developing countries. The Report further states that India remains a high-potential market with accelerated retail market growth of 15 to 20 per cent expected over the next five years. It further mentions that the growth is supported by strong macro economic conditions including a 6 to 7 percent rise in GDP, higher disposable incomes and rapid urbanization. Dr. Syed Nasim Ahmad Zaidi has assumed the charge as Election Commissioner in the Election Commission of India. He fills the vacancy in the Election Commission caused by the assumption of charge by Sh. V.S. Sampath as the 18th Chief Election Commissioner (CEC) succeeding Dr. S.Y. Quraishi. India is the second-largest mobile phone user with over 900 million users in the world. It accounted for over 10% of the world’s online population in 2011. In 2011 alone, 142 million mobile-cellular subscriptions were added in India, twice as many as in the whole of Africa, and more than in the Arab States, CIS and Europe put together. 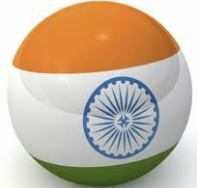 The mobile tariffs in India have become among the lowest in the world. A new mobile connection can be activated with a monthly commitment of 15 cents only. History repeated after five decades when United Progressive Alliance nominee Hamid Ansari was re-elected as Vice President to get a second consecutive term after s. Radhakrishnan.who enjoyed two terms from 1952 to 1962. Mr. Ansari Won with a thumping majority against Jaswant Singh. Ansari Polled 490 and Jaswant was 238 out of 790 members. Ansari was the 12th Vice President of India. A Memorandum of Understanding (MOU) was signed by the visiting Deputy Prime Minister & Minister for Foreign Affairs, Foreign Trade and European Affairs of Belgium, Mr. Didier Reynders and the Union Minister of Railways of India Shri Mukul Roy on bilateral co-operation for the effective development and modernization of railway sector of both the countries. In pursuance of the Vision 2020 document promulgated by the then Minister for Railways, Mamata Banerjee, for modernization and development of major Railway Stations as vibrant centres of the life of cities for commerce, entertainment and social space, Indian Railways has identified stations for development to the international standards and signing of this MOU will especially focus in this direction. Government of India and Government of Principality of Monaco have signed a Tax Information Exchange Agreement (TIEA). This is the ninth TIEA being signed by India. It is based on international standard of transparency and exchange of information. According to the agreement, Information is to be treated as secret and can be disclosed to only specified person or authorities, which are tax authorities or the authorities concerned with the determination of tax appeal.